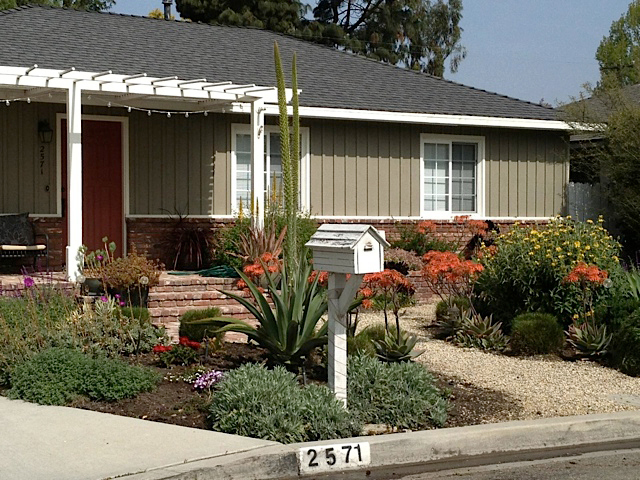 Looking to upgrade your existing landscape using less water? Converting traditional irrigation to drip? Removing your lawn? 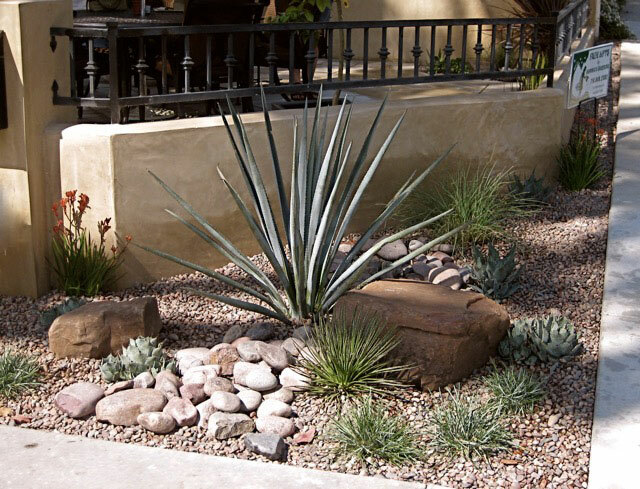 Like lots of year round color using unthirsty plants? 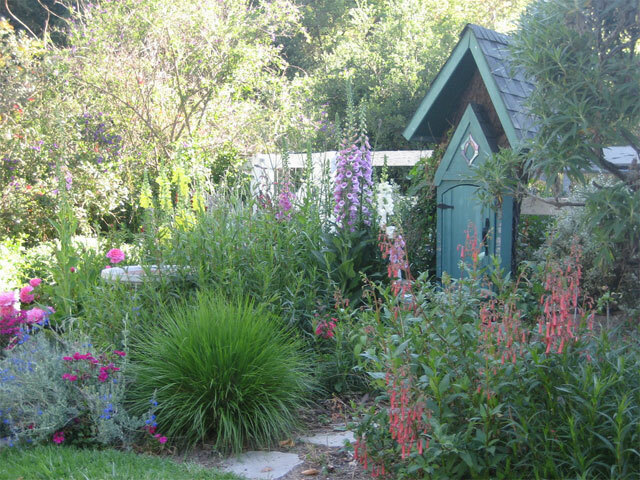 A garden Facelift by Bonnie’s Gardens may be the answer for you. 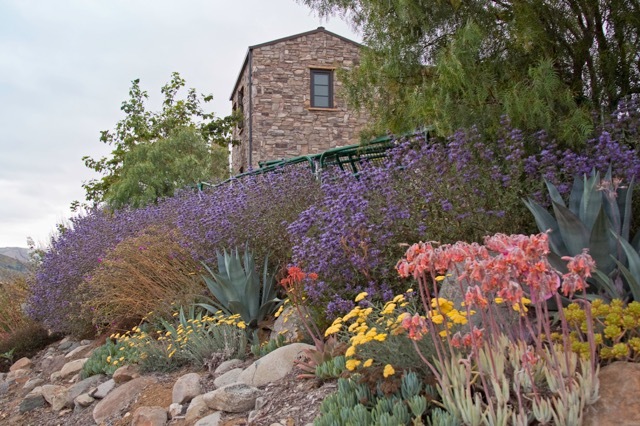 Bonnie Smith is a landscape designer specializing in colorful Mediterranean plants suitable for this area. 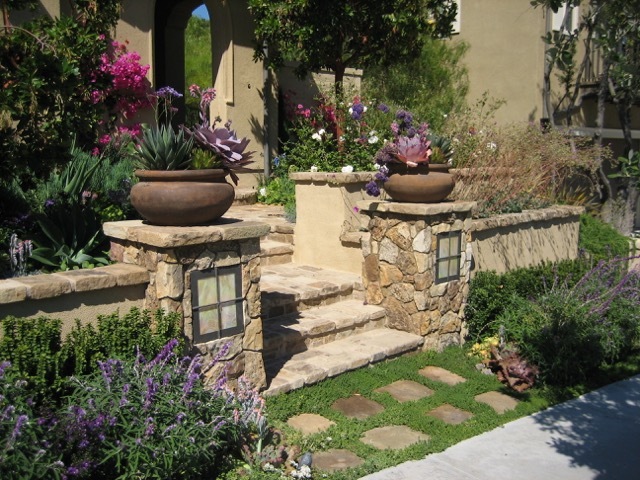 Bonnie is a licensed landscape contractor with over 25 years of experience in landscape design and contracting. All projects designed by Bonnies Gardens installed by Ron Smith & Co. Licensed contractor specializing in all aspects of landscape contracting. Patios, pavers, all hardscape applications, water features, irrigation, planting and outdoor lighting.